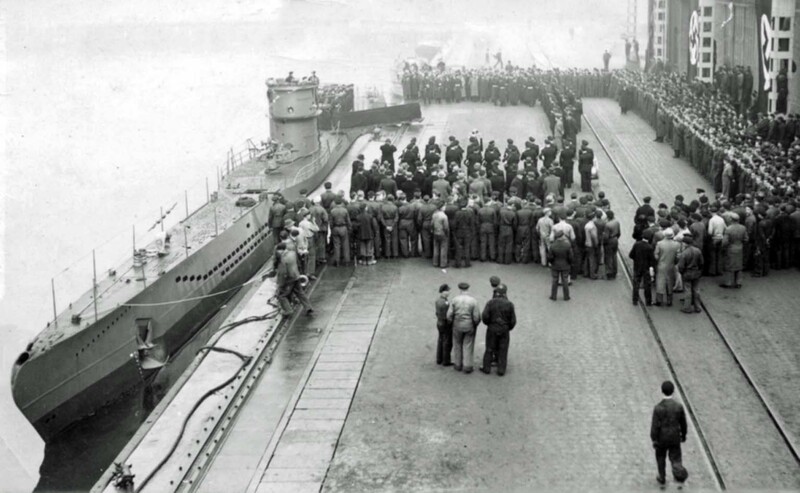 Transfer of the German submarine U-408 (type VIIC) from shipbuilders to Kriegsmarine. The submarine U-408 became part of the 11th Kriegsmarine flotilla in Norway. Acted against the northern maritime convoys of the Allies. I sank three vessels from convoy PQ-18 (Soviet steamship “Stalingrad” (carrying capacity 3,559 gross tons), American parachute Oliver Ellsworth (7,191 brt), English tanker Atheltemplar (8992 brt)). The U-408 submarine was sunk with the whole crew (45 people) on November 5, 1942, with deep-seated bombs of the US Navy’s Catalina bomber aircraft.